Hospital curtain track by Kirsch. Used for hospital cubicles and windows and also residential applications. Can be curved for bow window curtain rods. Order in 12 foot increments only . For grommet curtains and hand drawn draperies. 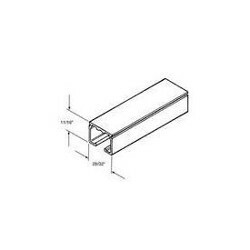 Profile: 29/32 x 11/16 inch Use Kirsch architrac series 9600 for pinch pleats and cubicle drapery applications. Architects, interior designers and construction specifiers whose reputations ride on the products they recommend choose Kirsch. Anodized aluminum finish. 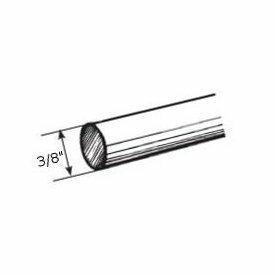 For mounting ceiling curtain rods, use 9637-061 Maximum weight, 96 pounds on two way draw Maximum length 40 feet, butted Priced by the foot To avoid truck shipping when having track cut, choose Cut Track Shipping in the Shipping Methods at check out. Maximum cut must be less than 105 inches. Price unit one foot.